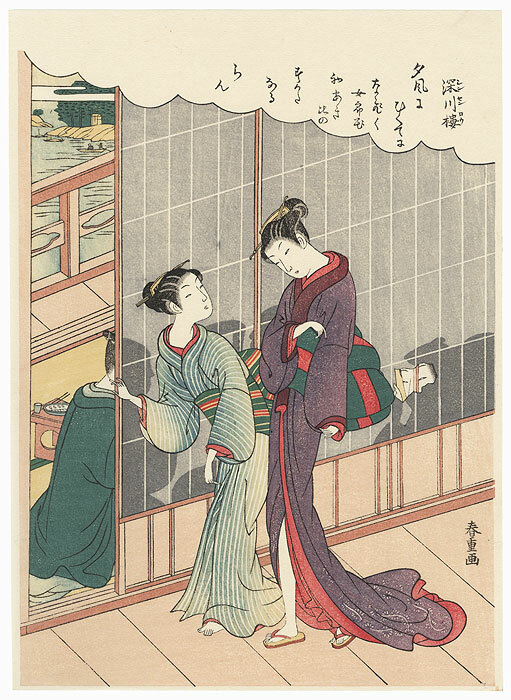 Comments - Interesting scene of a beauty arriving to attend a party in a teahouse at Fukagawa. 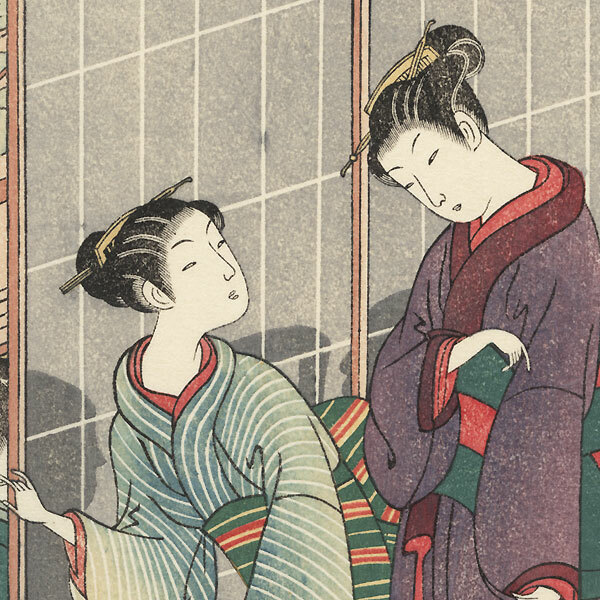 A young attendant slides open the shoji screen as she waits outside the doorway. Several guests are already seated inside, with a red tray holding refreshments on the floor nearby. The verandah beyond opens onto a view of the river. 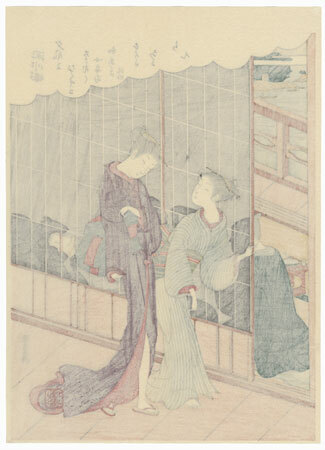 One of the men peers at her through a tear in the paper screen at lower right. Nicely detailed and colored.